Ralph, from VPSSlim, is back again with two OpenVZ offers located in the Netherlands. This time they are giving a special free ISPmanager control panel license for a month. Note that these offers includes free IPv6 and the prices are in Euros. So kindly check the conversion rate if you are used to USD. We last featured VPSSlim in March of last year. 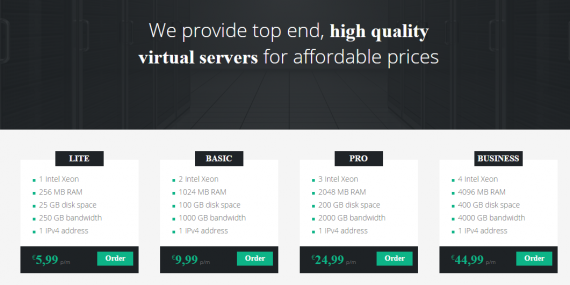 Their annual offer for the 1024MB RAM is now cheaper and has double the bandwidth! Host nodes for this offer has Intel XEON E5 or E3 CPU (with 8 or more cores), memory of up to 128GB, and 4 or more 2TB DISKS in Hardware RAID-10 configuration. The nodes are also connected to dedicated uplinks. Reviews on their previous offers are mixed – some good and some bad. We will appreciate if customers will share their experiences with us in the comments section below. Specially because it’s been a year since we last featured them! VPSSlim accepts payments via PayPal, Payza, Skrill, 2CO, Bitcoin, iDEAL, Creditcard and Bank wire. This should be plenty of options to send in payments. They are offering a 14 days money back guarantee. As always, kindly read their Terms of Service carefully before making any purchase. Note that the ToS is in Dutch language and the English version uses Google translate. VPSslim own all of their hardware and equipment. Servers are colocated with Serverius in Dronten, Netherlands.